An area of physical security that often doesn’t get much attention is the transportation of liquid fuels in vehicles such as a gasoline tanker truck. This is a HUGE problem in emerging markets; but in fact theft of gasoline and other high value liquid fuels happens even in developed markets such as the US and Europe. Why Worry About Fuel Transportation Theft and Security? 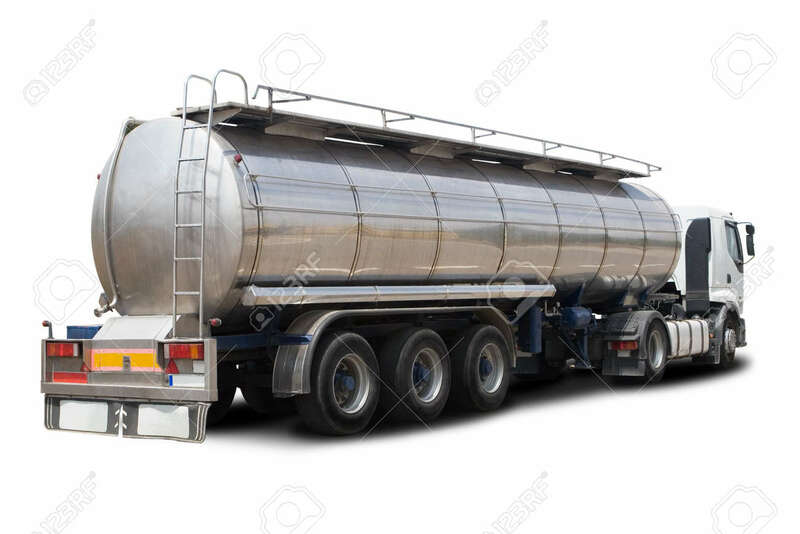 A typical large tank truck, tanker truck or tanker (depending upon your country) can hold retail gasoline inventory worth $36K in USD or more, based upon a typical tank capacity of roughly 9000 gallons and price of $3/gallon. Of course with the higher fuel prices in Europe and some other places, the retail value of the shipment can be even higher. Gasoline and other fuels and high value liquids are relatively easy to steal if unprotected – a thief can simply siphon some or all of it all into his own tank. More sophisticated criminal gangs may target the theft of the tank trailer or the entire truck. Not only is an unprotected gasoline tanker truck easy to steal fuel from, but it’s also very easy for a thief to sell on the black market. Unlike other high value goods that might be targeted, gasoline fuel has no pedigree markings that can be tracked or traced. If at all possible, deal with companies where you will be dealing with “regular” personnel that you get to know, rather than a revolving door of different individuals. It should be noted that in areas where you can use a fuel meter to ensure you actually get the inventory that you’ve paid for, the risk of fuel theft is reduced (although of course meters can be tampered with as well and whole trucks can still be stolen). In many areas, however, this is not possible. There are typically at least two points of entry to the Gasoline Tanker Truck’s fuel storage tank that justifies extra protection. These are entry pipes where fuel is off-loaded or on-loaded. These pipes typically have a connected hasp where a padlock-style security device can be attached to the entry cover for added security. 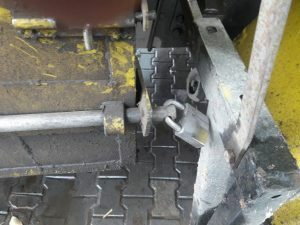 It is common on a large fuel tanker to have one entry location on the top of the tank and another on the side near the bottom. Lastly, rather than relying on a simple, humble padlock to secure your multi-thousand dollar inventory, it may make sense to employ a more sophisticated device. The OpticalLock system is a mult-function security device which combines of the benefits of a physical lock, wireless alarm, security seal and GPS tracker all in a familiar padlock form factor. So in addition to the physical security of a lock, The OpticalLock Opti-100 provides the ability to track your fuel shipment along it’s route, including geofences to provide real-time wireless alerts to you should there be a deviation from the designated route. If someone try to tamper with the OpticalLock in any way, wireless alerts are also generated and sent in real-time. Lastly, the product provides a chain of custody record in the web-based OpticalLock management software, as well as assurance that the lock was not tampered with. Please browse the OpticalLock website for more information on the Opti-100 as well as information on typical applications. You can Contact us if you have specific questions or are interested in purchasing. We’d also appreciate it if you could post a comment below, or share this article with your gasoline/fuel transportation and security management colleagues to further this discussion.